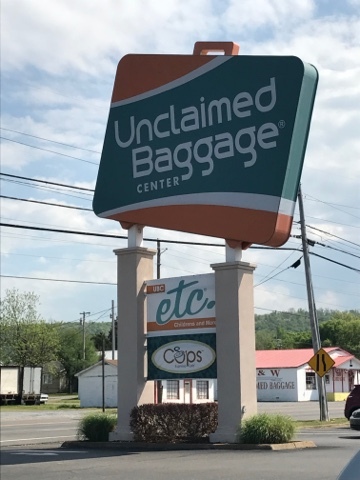 I would say that one of my highlights of my visit to the SE GTG in Stevenson, AL is the 18 mile trip south to The Unclaimed Baggage Store in Scottsboro, AL. When I went this year, I didn't have anything that I wanted to buy. Checking through the rolling rack blue bins I found the above headlamp. When hiking this year in Havasu Canyon I had a headlamp but to turn it on and off I needed two hands to rotate the lens to turn on and rotate to turn off. 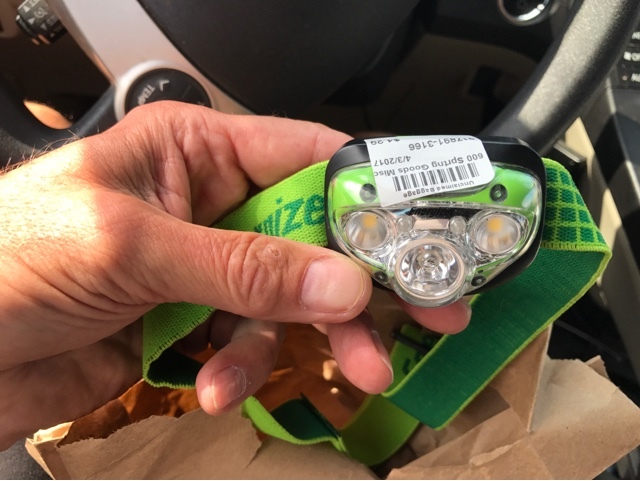 This headlamp is a push button and much easier to use with one hand. The new one takes AAA batteries and the one I had takes button cells. Both are good but the push button is way more easy to use with one hand and a great price at $4.29. The other thing I learned from my hike to Havasu Falls was that solar is not effective in the canyon due to the high canyon Wall's blocking the sun. My ability to solar power my phone was limited to carrying AA batteries as solar didn't work. 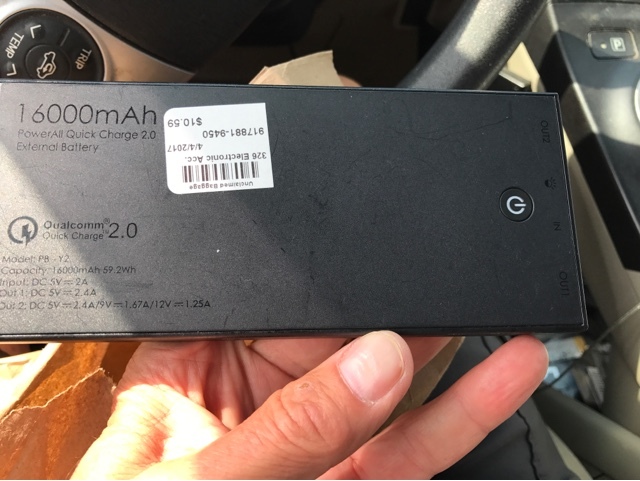 Above I bought a Lithium power brick rated at 16000 mA. This new brick will charge my iPhone 5 times for $10.59. Retail on Amazon it goes for just under $60.00. Inventory at the Unclaimed Baggage rotates in and out daily so it pays to check back if you are looking for something.